How do you come up with such fabulous stories? Fabulous? You are far more generous than I deserve. Ideas are everywhere. How often have you sat around with your friends, saying, “Wouldn’t it be great if [this or that] happened?” The seeds of a terrific story are right there. But instead of letting those seeds scatter into the air, I write them down. I have an idea for a story. How do I start? 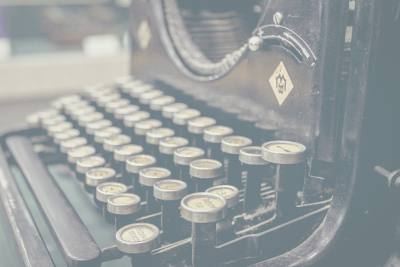 We all have seen romanticized versions of a writer perched before a manual typewriter, gazing at a blank sheet of paper and waiting for inspiration to emerge. I don’t write that way, and few authors I know write that way. In high school I learned a technique for creating essays that still helps me today. It’s called Outlining. Instead of slogging through a story from start to finish, I create an outline that allows me to hop wherever my imagination takes me. For example, if I get an idea for the climax, I don’t worry about how my hero reaches the climax. I jump right there and start pecking at my keyboard. If I wake up at 3:00 AM with a perfect line of dialogue, I scribble it down and go back to sleep. The next morning I plug that dialogue into my outline. Any research I do also gets inserted into the outline, including bibliographic footnotes that enable me to relocate the source of the information. Eventually my outline falls naturally into chapters. At this point I can move whole sections around, pacing my story so it builds to a satisfying climax. I recognize places where I must seed clues for later events. This is not a time to hurry. Many, many months go into an outline’s construction. By the time I start “writing,” most of the hard work is already done. My initial pass through a book focuses little on perfection. I want to capture images and emotions. First drafts of stories I never show to anyone; they’re too raw. In my second pass I start polishing. The real work of composition happens not in the writing, but in the rewriting. I’ll edit a manuscript fifty or sixty times before I consider it finished, and even then I still find stuff I want to change. You must lead a very full life. That depends on how you measure it. ‘Tearing through the mask of the mundane’ does not mean filling every hour with thrill-seeking busyness. Nor does it suggest a constant search for risk. I mean that even life’s ordinary moments are rich. Too often we seek fulfillment on mountain tops of adventure and achievement. These heights may add zest to our existence, but the real meat of living is in the commonplace. There we learn patience, perseverance, mercy, gratitude and grace. We learn loyalty and love. On the bedrock of the mundane stand the peaks that soar above the clouds. Every moment of life contains something to be savored. Whether we’re skiing down an Alpine slope or washing dishes at the kitchen sink, we are living and growing and stretching our capacity to bless others. In that light, even shoveling snow is enriching. Do you really build ships-in- bottles? Did you make the one in your picture? My first bottled ship I built when I was seventeen. I had just graduated high school and was seeking relief from a summer day’s boredom. In a flash of inspiration I decided to create a bottled ship. The fact that I had never seen one did not deter me. I went to the local library and found a book on how to make them. That library book taught me to construct a simple, two-masted schooner and get it through a narrow neck of glass. I was so proud of my achievement. But the more I studied my model, the more dissatisfied I became with it. The masts were too fat, the hull too narrow, the putty forming the sea too sloppy. I made a second try, and a third and a fourth. I wondered if I could construct a square-rigger, with yardarms hanging perpendicular to the masts. Soon I was adding gun ports, ornate bows and sterns, crows nests, stun-sails, flags, pennants and even figureheads. Instead of painting gun ports I cut holes for them. The tools I use for working inside the bottle are bent coat hangers. My latest efforts are bottled-ship Christmas tree ornaments. They’re very tiny, but super cool. Yes. I try hard not to do it again.